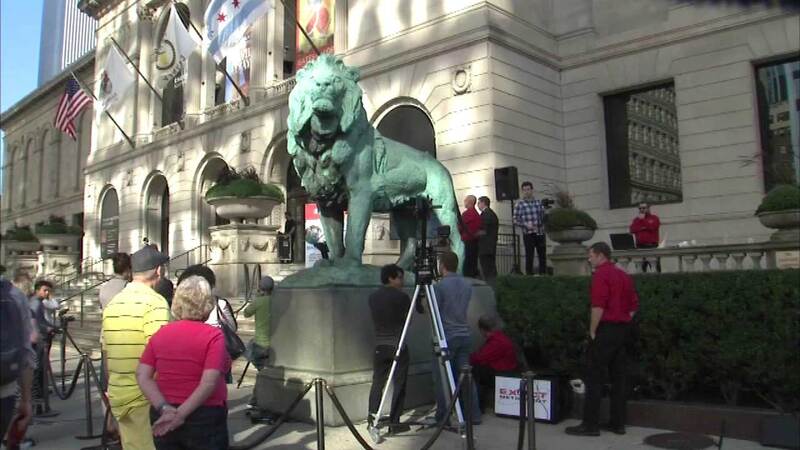 CHICAGO (WLS) -- One of lions at the Art Institute has been photographed by a 3D scanner as a high-tech way to capture a piece of Chicago history. The company Exact Metrology used the technology on the iconic landmark, using devices to grab the image of the lion. A company called Met-L-Flo will then use that data to make 300 small replicas to be handed out at FABTECH 2015 in November. The conference is held for the metal forming, fabricating and tech industries.